The Three Sounds were a very popular group in the late 1950s/early '60s and for good reason. Pianist Gene Harris, bassist Andy Simpkins and drummer Bill Dowdy always knew how to lay down an irresistible groove, they infused every song they played with a heavy dose of the blues and they could outswing any combo while never being stingy with the soul. The same could be said for altoist Lou Donaldson. Influenced by Charlie Parker but a bluesier player, Donaldson in the 1950s held his own on sessions with Clifford Brown, Thelonious Monk and Jimmy Smith while gaining a strong following with his series of Blue Note recordings. 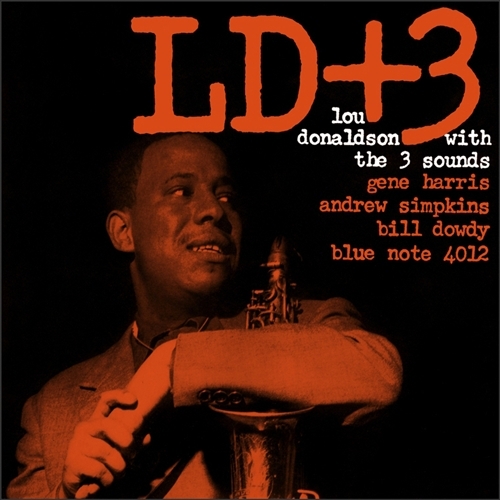 LD + 3 is a very special recording from 1959 featuring Donaldson and the Three Sounds really inspiring and pushing each other. Starting with a passionate version of "Three Little Words," they dig into such bop classics as "Just Friends" and "Confirmation," playing with plenty of heat. The mixture of bebop fury with soul makes this a true Blue Note milestone.